2017 CAS Resident in Art Writing Julie Niemi has a deep commitment to art publishing and collective production, and has integrated these interests into her curatorial practice. During her time in Stavanger, Niemi held a reading group as part of Conversation Pit at local artist-run gallery Studio 17. The discussion revolved around a reading of the text “You are Invited to Be the Last Tiny Creature" by Chris Kraus, and the benefits and challenges of running small-scale, experimental spaces. Below is a text by Niemi reflecting on some of the topics brought up through the conversation. A grandiose display of Open Editions’ Self-Organised book. The writing below is a series of notes, or musings, on the topic of “self-organization.” These ideas are by no means exhaustive, but rather come from a state of personal reflection on how self-organization has applied to my life, my practice, and the histories and discourses surrounding a term that ebbs and flows out of disciplines and applications of meanings. Likewise, the thoughts on this flow from the typing of my fingers on the keypad at the end of 2017, a year where we, those of us who are able to engage with various communities and organizations online, bared witness to the difficult and politically charged public conversations online, a space that has evolved to allow for self-organization. I have made an effort to weave together personal experience, practice, conversations, and nods to how this term, and the practice of self-organization, has applied to my life and the larger cultural milieu. I would like to start with with a personal anecdote: In 2007, for two years after I completed high school in Tulsa, Oklahoma, I joined the Obama for America (OFA) campaign as a field organizer. I should briefly point out that these were the early days of online organizing: a time when Barack Obama had just registered for a Twitter account and we, the organizers on the campaign, were embracing the new terrain of Facebook. About every other month or so, I was dispatched to a new rural town or metropolitan city center — Las Vegas, NV, Austin, TX, Clarksburg, PA — where I was expected to quickly settle in and begin meeting people who I could rely on to help turn out the vote or knock on doors for the “man with the funny name.” What I remember most about this experience (that seemed, at the time, to be the beginning and the end of my life) was an introduction to grassroots organizing and the influence of sharing one’s own personal story. This would be an invaluable training in vulnerability, one which I would call on and recognize in the years to come. During the long year of 2017, sharing one’s own story as a form of personal self-organization has positively dominated an aspect of online space. Sharing one’s own story and allowing for space has held exceptional weight on a larger cultural and societal level: the Black Lives Matter movement, the recent #metoo movement, and the free, rapid circulation of the open letter. (I’m thinking here about Dana Schultz and the Whitney Museum). These are only a few powerful examples, but I’d argue that this, too, is a form of self-organization in absolute opposition to the normalizing of long institutional behaviors (white supremacy, sexual harassment in especially the unregulated entertainment and cultural industry, and the American museum as institution.) In these examples, I view self-organization as a way of place-making, a way of opening a space for others and for yourself. But what is in a term? What is implied in “self-organizing?” When uttered, self-organization takes on a myriad of connotations, symbolisms, and general meanings. It can signify a form of do-it-yourself initiatives, or a position openly against a specific power structure or dominant culture. The process of self-organization can be chaotic. Order is applied by intuition and a spontaneous reaction to a certain way of ordering things. The term has been used in a wide-range of fields: the social and natural sciences and in the art world. 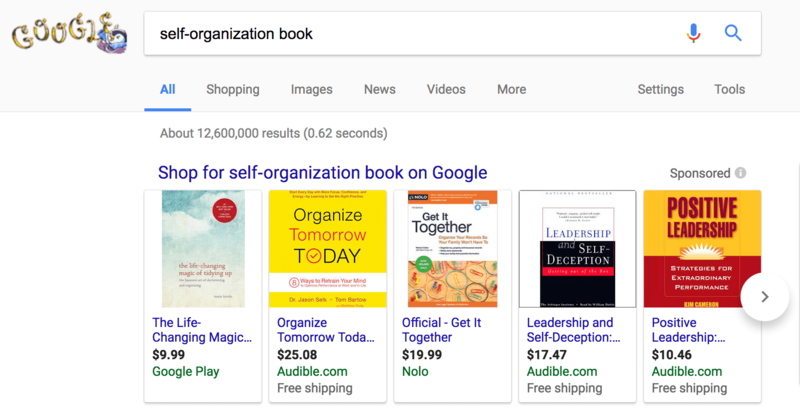 And, when typing “self-organization book” into the Google search bar, dozens of self-help books populate my screen. The term is vague, yet strangely holds exceptional weight in the specific field scrambling to define its etymology. Google search results on New Years Eve, 2017. Stine Hebert and Anne Szefer Karlsen, Eds. Self-Organised. (Open Editions, Hordaland Art Centre, 2013); 10. In other words, when thinking specifically about the art world, self-organization has strived by employing non-hierarchical models and collaborative decision-making processes. Ideally, the process is moving away from just dissolving institutional boundaries to rather creating new organizational opportunities in and outside institutions. In the 1970s, artists in the United States made it a stance to self-organize outside of canonical institutions as part of their artistic practice and activist work. During this time, publishing houses such as Semiotext(e), artists’ book stores like Printed Matter, and spaces such as Artists Space emerged to fill a specific do-it-yourself void in the larger cultural discourse, or to fill in for a lack in critical discourse. And in reaction to an ever expanding variety of institutions and institutional systems, where, not unlike today, artists were scrambling to fit within a larger cultural and social umbrella as well as fighting for the implementation of economic and political reform (an example being the Art Workers’ Coalition). Institutions were, also like today, increasingly unable to represent the community, pushing creative practitioners to look for alternatives. 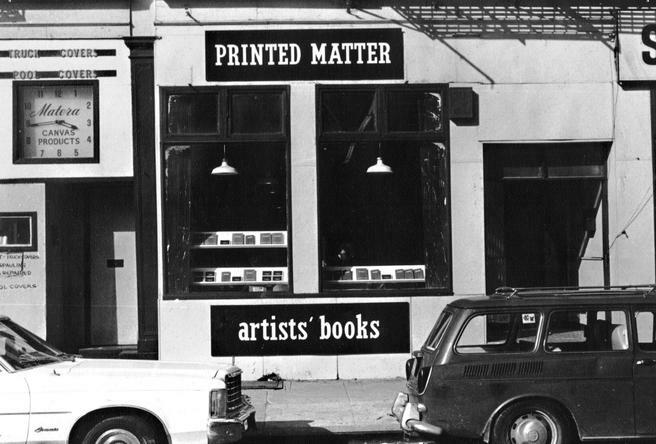 Printed Matter storefront on Lispenard Street, Tribeca, New York City. This past October while an art writer in residence with CAS, I had the opportunity to explore perspectives of “self-organization” with a group of cultural practitioners and members of the larger Stavanger community. The invitation came from the collective that runs Studio 17, an artist-run space that sits adjacent to Rogaland Kunstsenter, as part of their “Conversation Pit” series. The series invites different guests and locals to reflect on a topic, anchored in a reading chosen by the guest. That evening, we gathered around a table to discuss a text I had selected, Chris Kraus’s essay “You are Invited to Be the Last Tiny Creature,” published in 2009 by Semiotext(e) in the anthology Where Art Belongs. In the text, Kraus historicized the arch of time (from 2006 until around 2009) that Tiny Creatures operated as a DIY space in Los Angeles’ Echo Park. Kraus claimed that the history of this space, like many self-organized DIY endeavors, had been potentially “forgotten” or perhaps not. “You Are Invited to Be the Last Tiny Creature” serves as a case-study for the social and societal difficulties that the roving collective of members affiliated with the space endured, and the artist-run space community at large. And, returning to the idea of space being “forgotten,” whether that be Tiny Creatures, Printed Matter, Artists Space, or any other do-it-yourself space, also poses a concern around the way spaces are remembered, which is inherently an archival problem. How do we, artists, researchers, people, remember short-lived spaces, typically shuttered down due to issues of gentrification, rent increases, and de-funding? 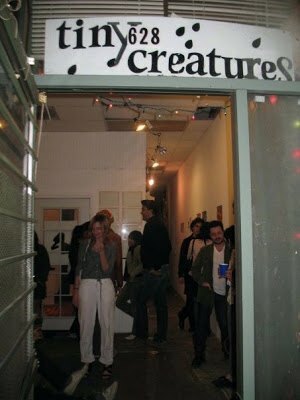 Tiny Creatures storefront in Los Angeles, California. 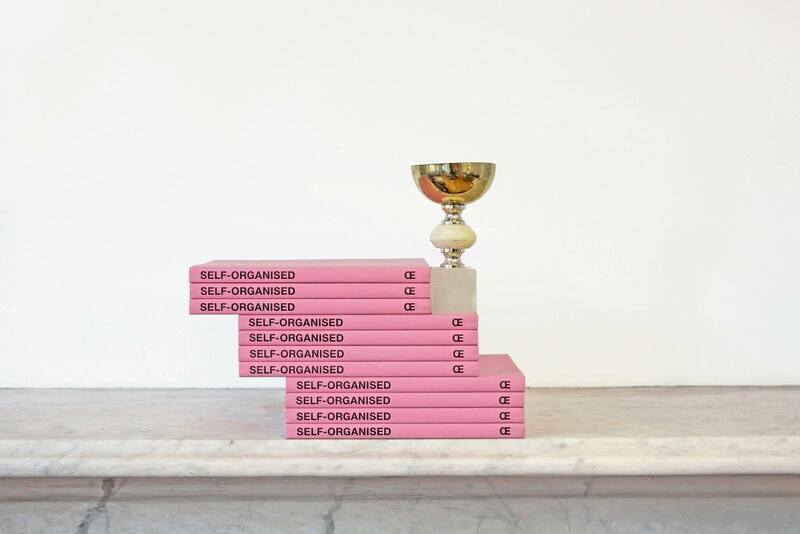 I thought a lot about these questions, these histories of self-organization and artist-run spaces, my own history leading up to the conversation at Rogaland Kunstsenter. When I was initially invited by Studio 17, I was hesitant to accept the task of returning to this term, unpacking it’s complicated implications and its historical references. For recently, I have felt defeated by the inability to self-organize as a part of my own curatorial work. With the current political climate aside, self-organization has always had a bubbling problem of access and healthy longevity, even if a temporal parameter of time (“how long will we do this for?” or framing it as “project-based” work) is set from the beginning. The person or collectives proximity to funding opportunities from institutions, grants, ability to self-fund, to just name a few, as well as general burn-out rate. During our conversation at the Rogaland Kunstsenter, those of us around the table shared our experiences working for institutions and starting our own spaces or platforms, opening up a space that evening to share our best practices. We reflected on how to delegate work amongst a group, the problem of archiving a self-run space when the question of external historicizing (like what Kraus did for Tiny Creatures) was out of the question. I remember discussing how we find ways to communicate in our own individual projects, especially when communication flows in and out of personal, domestic space to a shared community. We were not there to define any singular truth, right or wrong way of working, but to hear each other out and provide a sort of support system for each other. As one can imagine, the conversation wove in and out of our personal experiences and perspectives on this topic of self-organization to the Tiny Creatures text we discussed during the evening, occasionally anchoring our thoughts back into Chris Kraus’s words. What can be gleaned from our collective reading of Tiny Creatures, and our own stories, is that physical spaces are temporal. Much like we change with time, spaces change, too. New ideas and new people share all that they can to build a space in order to make room for others, ideas, and projects, and with this, the space fluxes, too. Internal and external variables, like grant funding and personal investment to the initiative, get real or fade away. Does this mean that there is, or will be, more of a turn to self-organization online? Not necessarily. It is my hope that people will always feel a need to share space with one another, and make room for new ideas to go against, or in friction to, the cultural and societal norm. We need it now more than ever. Julie Niemi is an Assistant Curator at the John Michael Kohler Arts Center (JMKAC) in Sheboygan, Wisconsin. She received an M.A. from the Center for Curatorial Studies, Bard College, where she was commissioning editor of aCCeSsions and researched Tolstoy College, an anarchist educational community active at the University at Buffalo in the 1970s and ‘80s. From 2013–2015, she was co-founder and editor of VIA Publication. Julie has held positions at and provided editorial support for: Henie Onstad Kunstsenter, Oslo, Norway; the Museum of Contemporary Art, Los Angeles; RAM Publications, Los Angeles; Project Projects, New York; and Inventory Press, New York. Her writing has appeared in Frieze, Temporary Art Review, and Art21 Magazine. Her recent exhibitions and publications include: Studies from the Bottom Up and K8 Hardy: Undergirding Heroine Ensemble. She is part of the curatorial collective Anne-Marie and co-ran The Barn from 2016–2017.